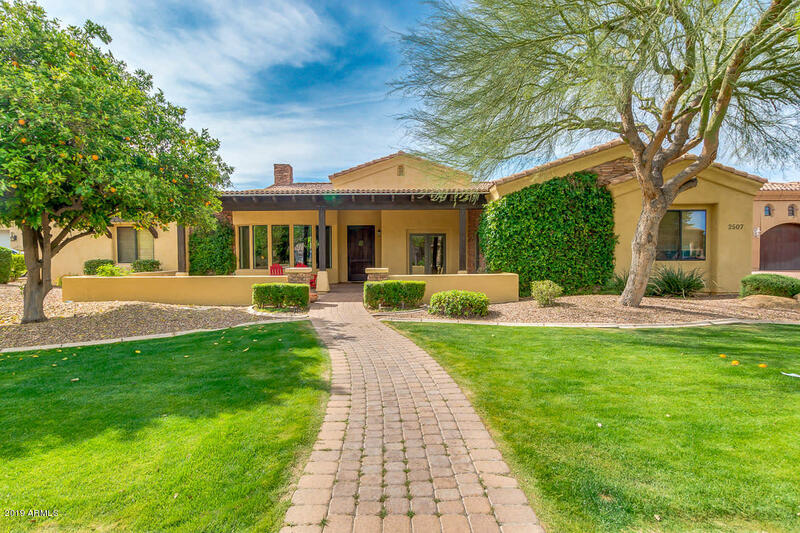 All GLENWOOD PARKE homes currently listed for sale in Mesa as of 04/22/2019 are shown below. You can change the search criteria at any time by pressing the 'Change Search' button below. "Mesa Arizona Wedding Venues Available for April or May don't compare to this property so use your backyard for your own wedding venue and delight family and friends in this one of a kind 5 bed 4.5 bath luxury executive home featuring gorgeous brick specially imported from Iowa plus this well-thought out house has adjacent staff work area for homework or your own 24-7 Intouch call center plus upstairs laundry, huge game room/media room/exercise room, fine office w/ built-in library and bonus room"
"Open floor plan living with efficient yet spacious layout. Single story/no stairs. Gorgeous maple wood floors throughout entire house. Second Master suite w living area, could easily be converted to separated In-Law suite. Walk in closets in all of the bedrooms. All bathrooms are spacious. Kitchen remodel done in 2018. Fun and livable back yard with private garden area, pool, jacuzzi, pizza oven, 2 patio areas and citrus trees." 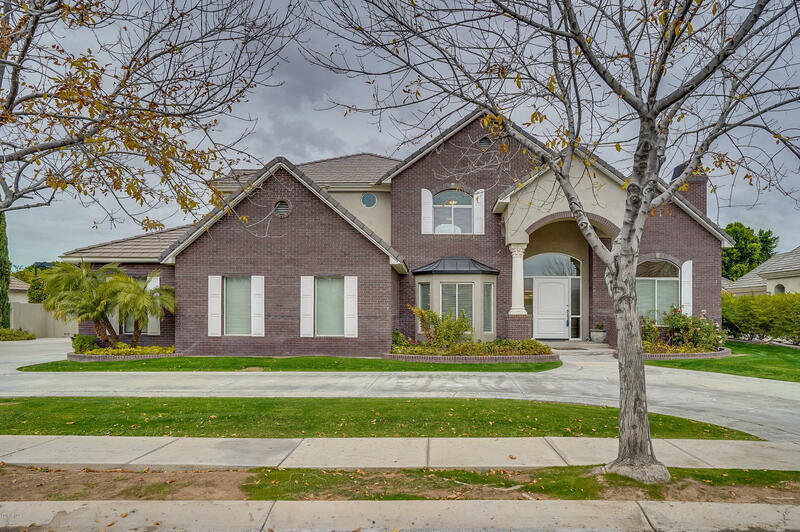 "Elegant custom home within a lovely family friendly neighborhood. 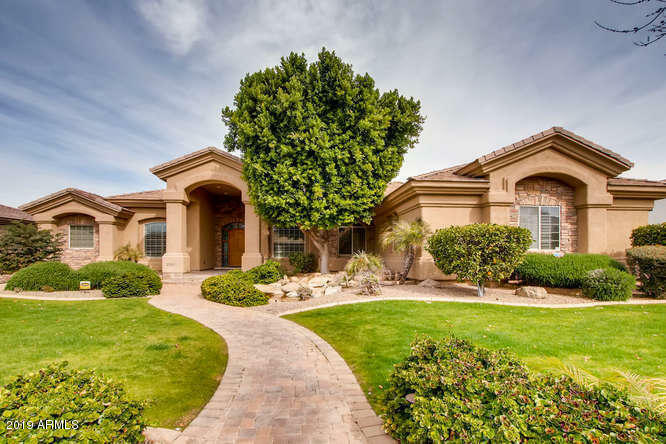 This 4 bedroom 3 bath home is perfect for entertaining friends and family with its private movie theater, beautiful kitchen, large patio covered backyard with built in BBQ, fireplace and pool. Other features include, RV gate, custom cabinets, office/den, 3 car garage and much more! Owner wants to move and is open to negotiate!"